A year ago I heard that the Tuaregs (nomads in the middle of the Sahara) had revolted, seized the eastern half of Mali, and renamed it Azawad. That by itself was only a problem for the Malian government, but not long after that, Al Qaeda took over the rebel movement. Then a few months ago I heard that the terrorists had burned the books of Timbuktu, some of which are almost a thousand years old. Now here is a heartwarming story about how the people of Timbuktu worked together to save most of the manuscripts. Timbuktu librarians duped Al Qaeda to save books | New Republic. St. Augustine Documents From The 1500s, Now Being Digitized, Reveal Truth Of The Oldest Permanently Occupied City In The U.S. (PHOTOS). 9. The world’s knowledge is at your fingertips. Not all of it, of course, but if you have Internet access, the lion’s share of it can be reached with a few mouse-clicks. It wasn’t that many years ago when we had to go to a library to do most of our research; I have fond memories of spending many hours in libraries during my younger years. Do you remember the scene in The Fellowship of the Ring when Gandalf gets the idea that Bilbo’s ring is really the One Ring of Sauron, and he rides many miles on horseback to Minas Tirith? In that city’s library, we see him going through stacks of old books and loose parchments, to read whatever he can find about the One Ring. Fortunately, the libraries I have used were better organized than that. Thanks to the Internet, we no longer need real-world libraries to do research. Appropriately, my first Internet experience was in a library, back in 1986 or 1987. My professor was telling the class about a service named Compuserve, and how great it was to have it. To demonstrate what Compuserve can do, he took us to the university library, and logged in to a bulletin board, so we could see the comments other Compuserve users had typed about Frank Herbert’s last novel, Chapterhouse: Dune. I was only vaguely aware of what he was talking about, but it did seem to me that the authors of those comments were having a good time. Little did I realize how much that would change our lives, just a decade later. I bet you haven’t visited a library much, since you got access to the Internet. In recent years, the only times I have set foot in a library was to take advantage of their wi-fi connection, like when the Internet wasn’t working at home. My guess is that the only reason libraries are still in business is because some people are still not “wired” at home, even now. You may think that you can find anything with Google and Wikipedia. This isn’t true, but you’re close. And with smart phones and tablets, we can access those websites from almost anywhere. Case in point: a couple years ago, I was in Oklahoma, sitting with a bunch of other people from Kentucky and Indiana, and I casually mentioned that in Florida, the fireflies don’t have yellow lights like Kentucky fireflies–they have blue lights. The guy next to me said he majored in entomology, whipped out his smart phone, and looked up blue fireflies to make sure I wasn’t pulling his leg! In the past, he would have had to hit the books, either in a library or in a set of bound encyclopedias at home, to verify my statement; imagine how much time and effort that would have taken, by comparison. Having unprecedented access to information is a mixed blessing, though. For a start, we have needed to develop new skills to get it. I remember when I taught a computer class for educators, each semester I would spend two or three sessions just on how to find things online. Second, a lot of the information on the Internet is worthless; there are even websites devoted to information you may never use. 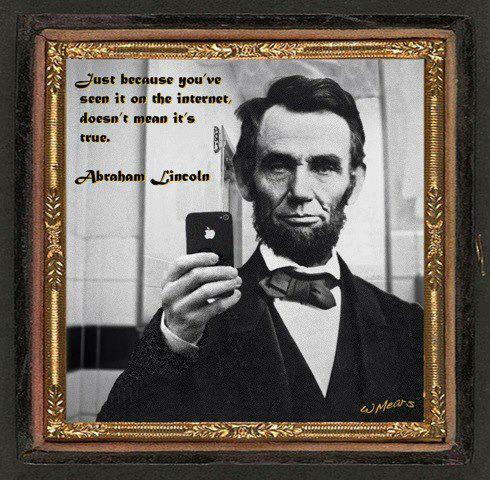 I trust you know by now that you can’t believe everything you read or see online (e.g., see the picture below of Abe Lincoln with his iPhone!). Third, because of the ability to post links, it is dreadfully easy to get distracted while surfing the Web. We have all gone online to find one thing, and ended up wasting hours looking at other interesting things we found, that had nothing to do with the first item. This may be the information age, but it’s also the age of information overload! I just found this video about the Roman emperor Constantine I. It’s not a very exciting video, just showing still pictures and text. Still, I feel flattered because the first paragraph quoted is mine. It came from a page that is no longer on The Xenophile Historian; I took it down when that paragraph went into my world history textbook. 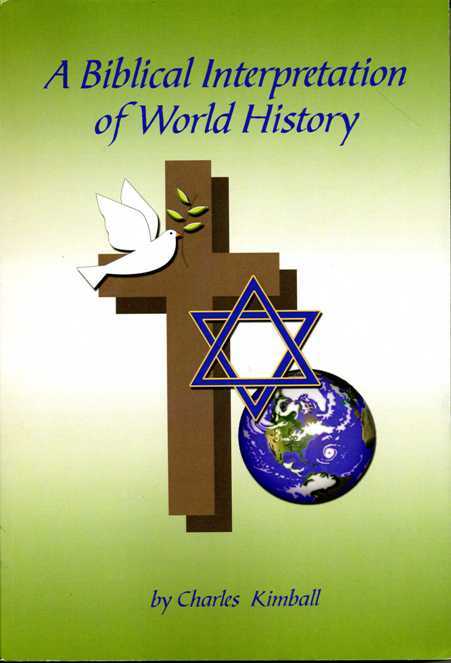 Therefore it seemed appropriate to post a link to the video on my current webpage about Constantine. The Last Frost of Spring? I told you about our furnace failing to heat last Sunday. At 5 PM on Monday, my in-law Gene King came over to look at it. He figured that the problem was just a dirty sensor, which should be easy to fix. However, he couldn’t find anything wrong with the furnace; it worked just fine when I turned the thermostat back on. We joked that maybe the furnace heard Gene was coming, so it’s behaving itself now; Gene’s handyman reputation preceded him! At any rate, we did not need to run any heating on Tuesday; it was so mild that I was out for both the afternoon and evening, without needing a jacket. Today the weather changed abruptly, though. A cold front came in at 7 AM, with a thunderstorm announcing its arrival. The lighting quickly passed, but it rained for most of the morning and afternoon. After the rain let up, I stepped outside to run today’s errands, and was astonished at how cold it got—it couldn’t have been more than 40 degrees. Now the forecast is calling for a low of 36 tonight, and there is even a frost warning. After moving to Kentucky, I learned that the last possible day of frost around here is May 3, compared with February 18 in central Florida; still, in the nearly seven years since our arrival, this is the first time we got spring frost later than early April. As expected, the furnace came on again this evening. Although it is delivering heat, it doesn’t seem to be running for as long in each cycle as it did before Sunday’s trouble started. I’ll have to listen for a while before I’m convinced it is working all right. Why do hippies make up holidays to celebrate on the birthdays of tyrants? You probably know from all the hype that today is Earth Day (the above picture was posted today on Bing.com to mark the event). Well, today also happens to be the birthday of Vladimir Illych Ulyanov, better known to the world as Lenin. In fact, the first Earth Day, in 1970, happened to fall on Lenin’s 100th birthday. Coincidence? I doubt it. For the rest of the story, here are the lurid details on Earth Day’s founder. 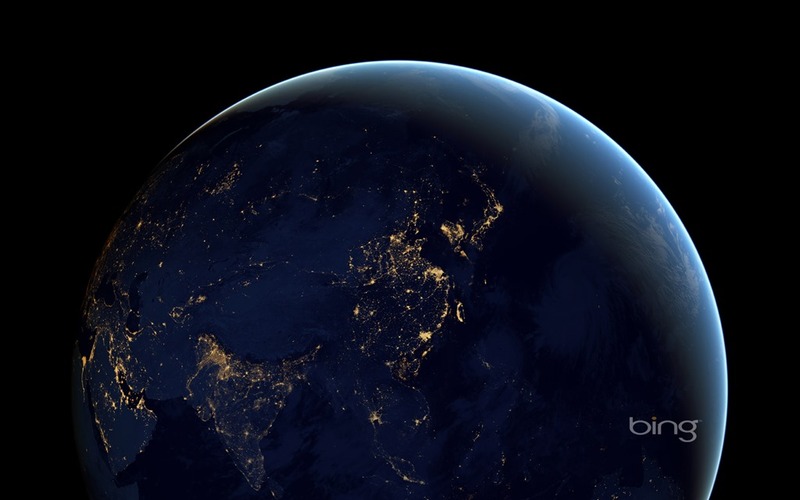 You may have recognized the outline and cities of Asia at night, in the above picture. I noted, for instance, that there aren’t too many lights marking my wife’s homeland, the Philippines; her neighborhood was a great place for stargazing when I was there, in 1985. 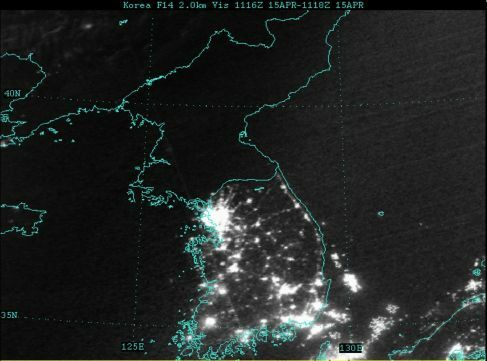 And for Korea, only South Korea is lit up. North of the 38th parallel, every day is Earth Day! Last Friday I also learned that every year in Colorado on April 20, a bunch of folks get together to smoke pot; this is the first time they got to do it legally. I don’t know how many of those potheads know it, but April 20 is Adolf Hitler’s birthday. Another coincidence? Now I’m wonder if anyone in the counterculture has a holiday on May 19 (Ho Chi Minh’s birthday) as well. This morning was another cool day; 34 degrees when I woke up, around 60 in the afternoon. But this time the furnace isn’t working right. I noticed fairly quickly that it was short-cycling; it was only on for five minutes out of twenty, and it didn’t seem to be as loud as before. Then I realized that it wasn’t heating the house. Temperatures upstairs were the same, but it was 64-65 degrees on the main floor, and 63-64 in the basement. Flipping the circuit breaker caused air to come out of the vents, but only briefly. I called the gas company to make sure they hadn’t shut off my gas, and they said everything was all right from their point of view. Either my thermostat has failed again, or my furnace has failed. I’m hoping the thermostat is the problem, because compared with the furnace, that is easier and cheaper to fix. See my message from February 12, 2010 for what it was like, the last time we had a thermostat failure. I called my handyman in-law, Gene King, to let him know, but he did not answer; for all I know he may have been out of town today. Oh well, guess we’ll have to tough it out for the short run. Leive will be all right because she has her space heater upstairs, and in a worst-case scenario I’ll break out the other heater for our parrot. In the afternoon the sun heated the house up to 67 degrees, where I have the thermostat set, but the furnace was still cycling on and off, so I turned it off, figuring it was only wasting electricity. Ironically, with the long-term weather forecast predicting a gradual warming trend, I’ll venture to say that if our heating system had lasted another week, we wouldn’t have needed to use it again for the next six months. It looks like this year the cold season was just too long. In the meantime we got some work done outside. Leive spread the rest of the mulch I got for her last week, and as promised, I mowed the lawn for the first time this year. I couldn’t plant the Fuji apple tree, though; Leive has her own idea about where it should go, and I’m waiting for her to show me the spot.